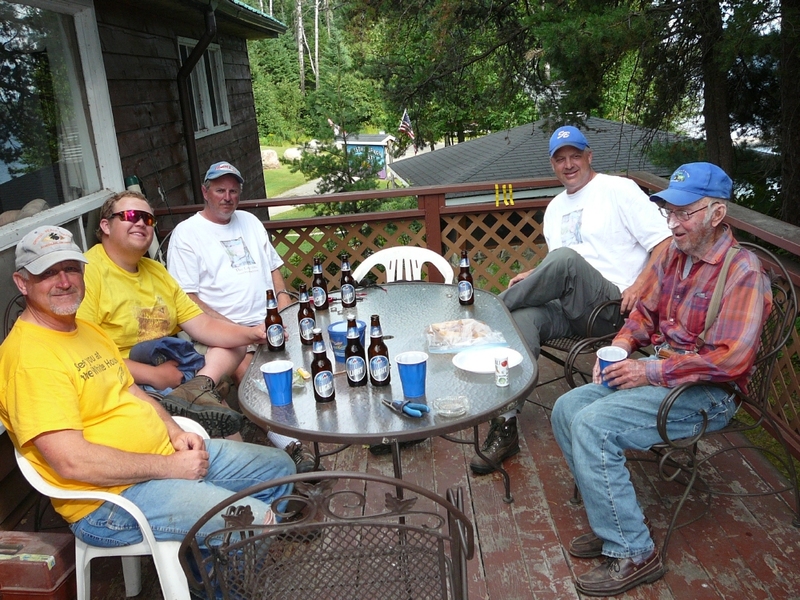 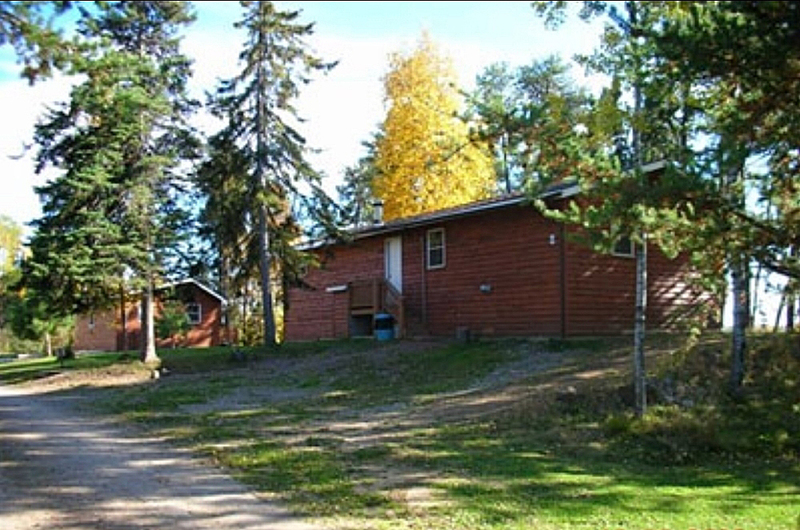 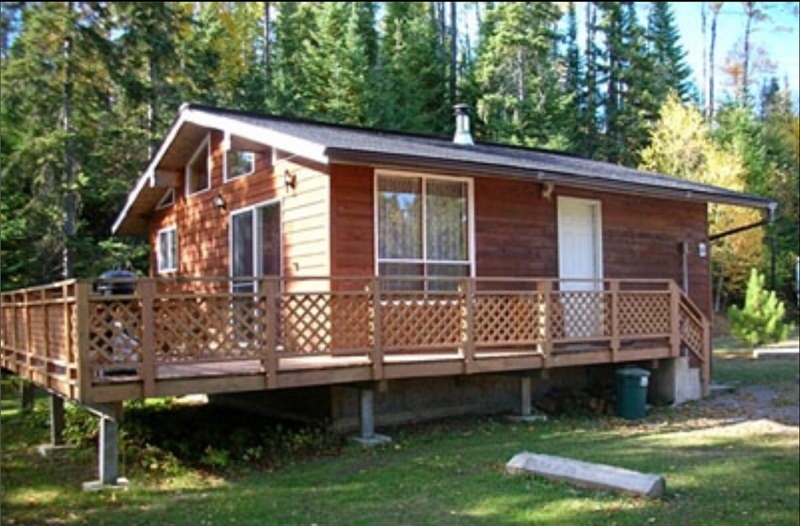 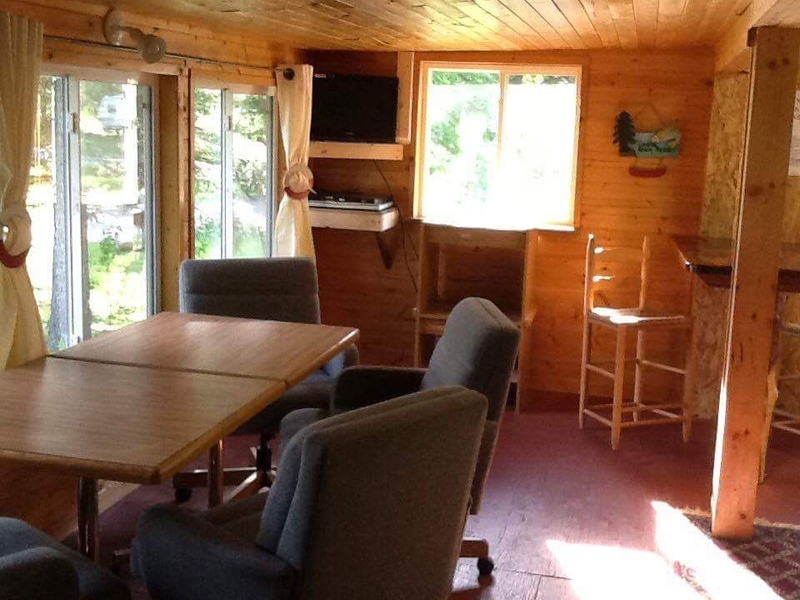 Our cabins can accommodate small groups, all the way to large family reunion groups. 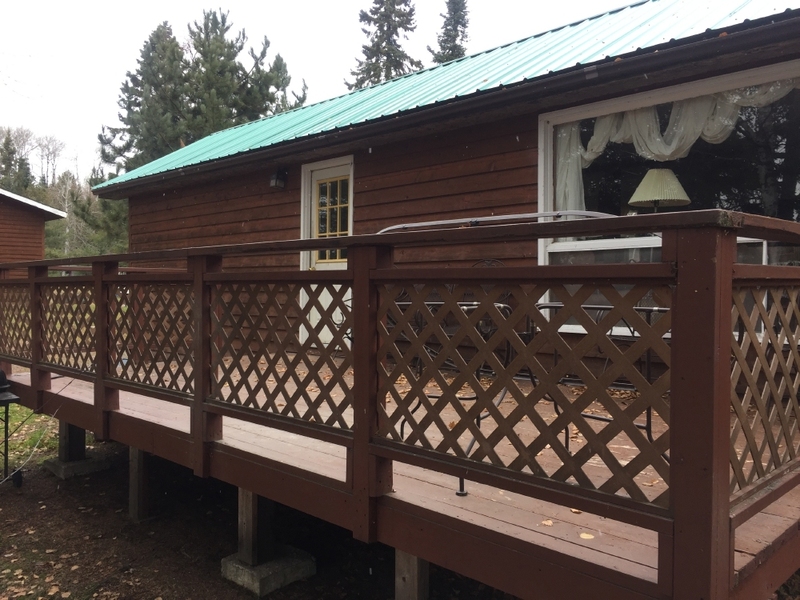 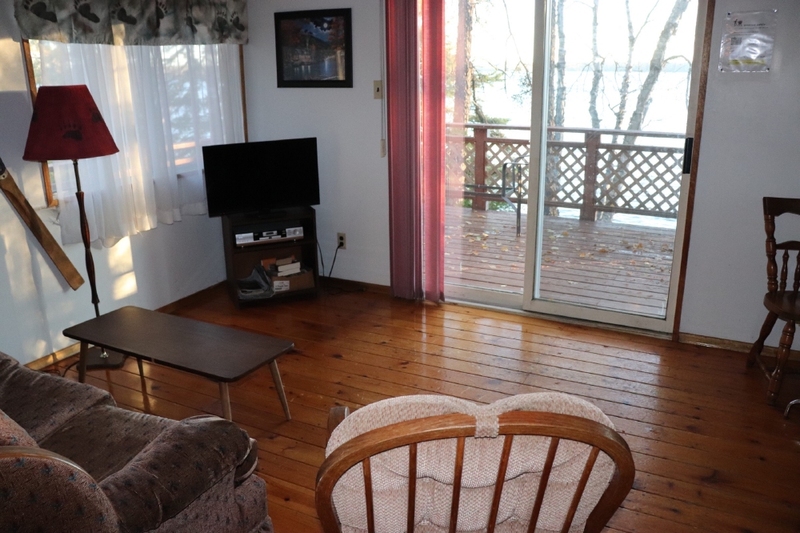 Each cabin has a lakeside deck and picnic table. 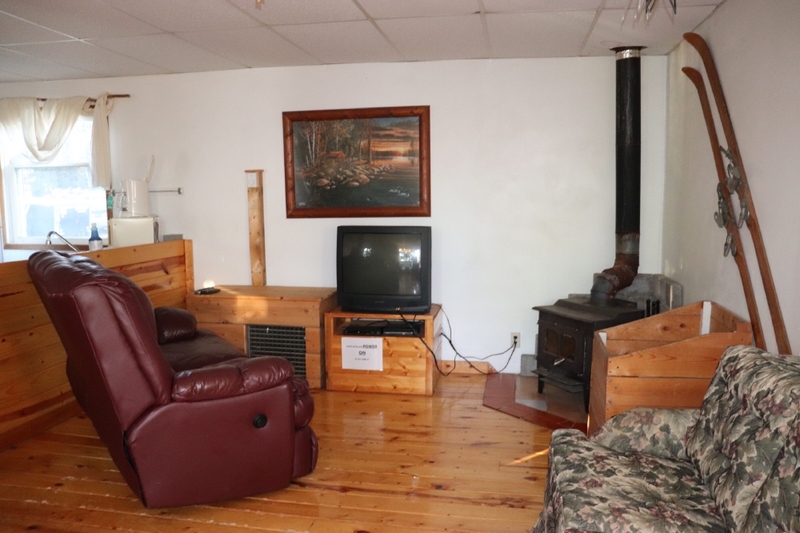 Our cabins are heated with a wood stove and we supply the wood. 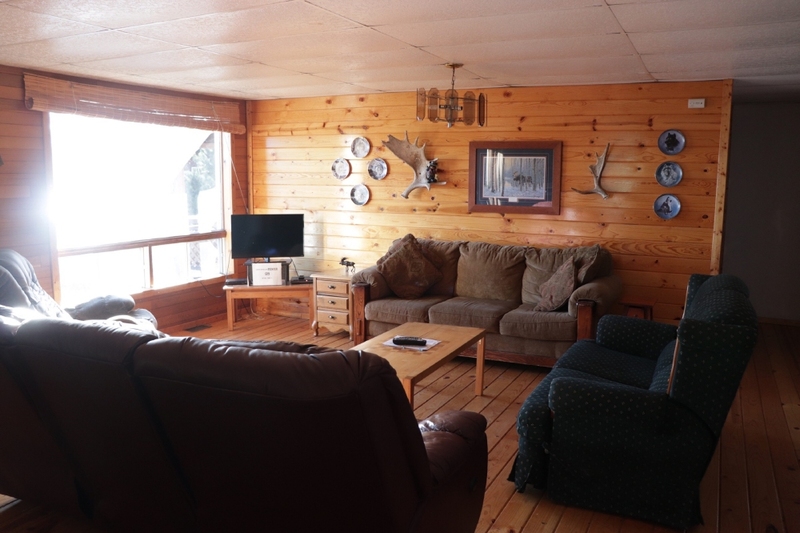 The cabins come fully furnished with electric refrigerators, electric ranges, toasters, coffee pots, microwaves and all cooking utensils. 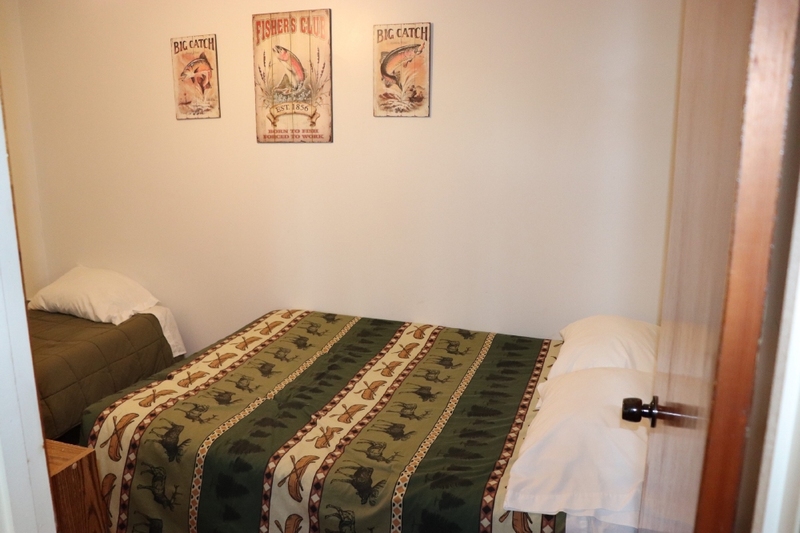 All linens are included except personal bath towels. 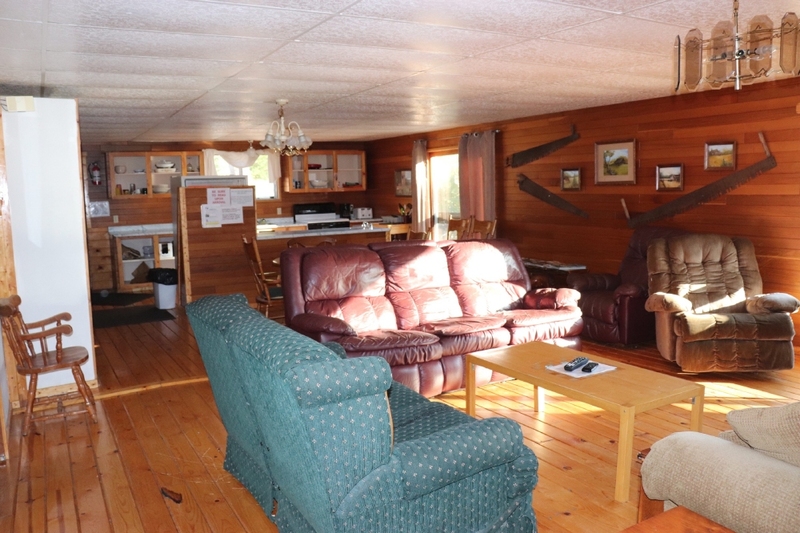 Each cabin also has a full bath. 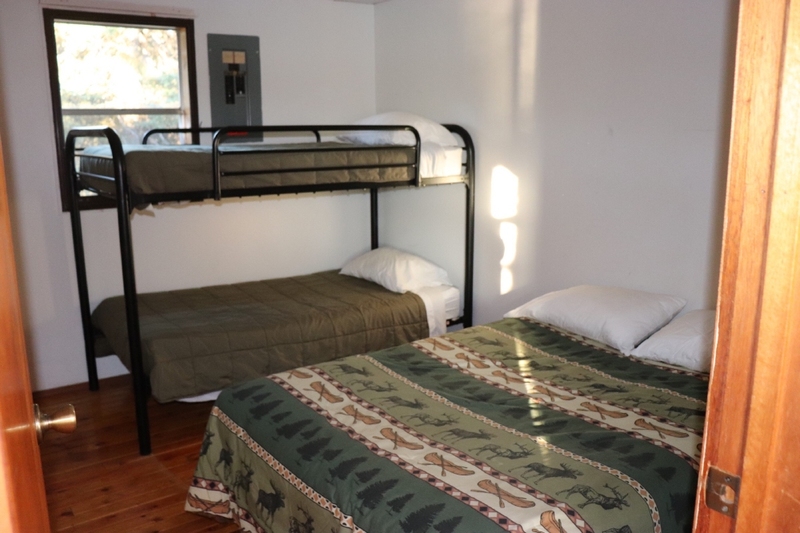 The Bunk House is equipped for housekeeping with coffee pot, toaster, microwave, dishes, utensils, refrigerator and an out door grill. 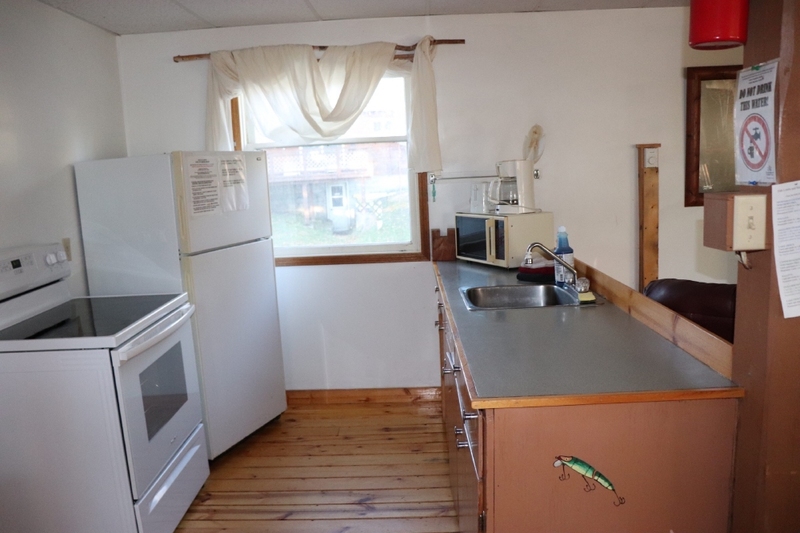 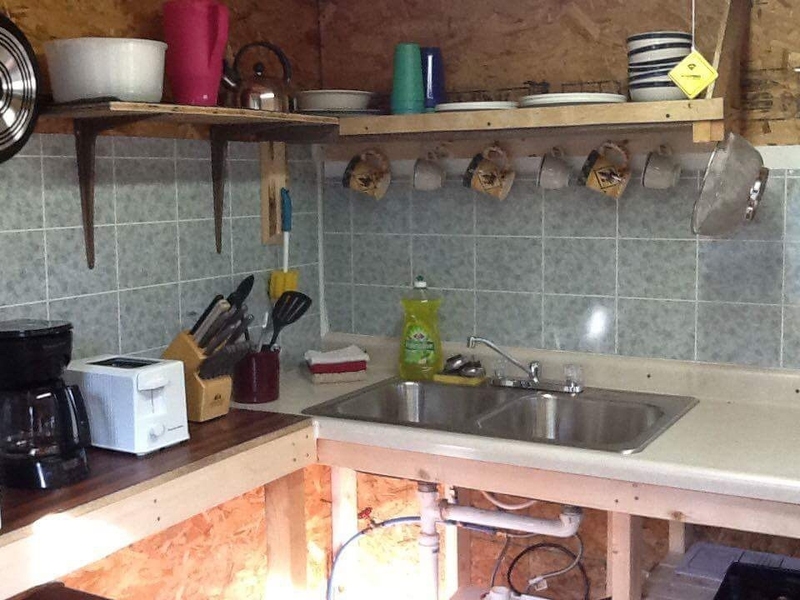 The Bunk House has a kitchenette with hot and cold running water for washing dishes. 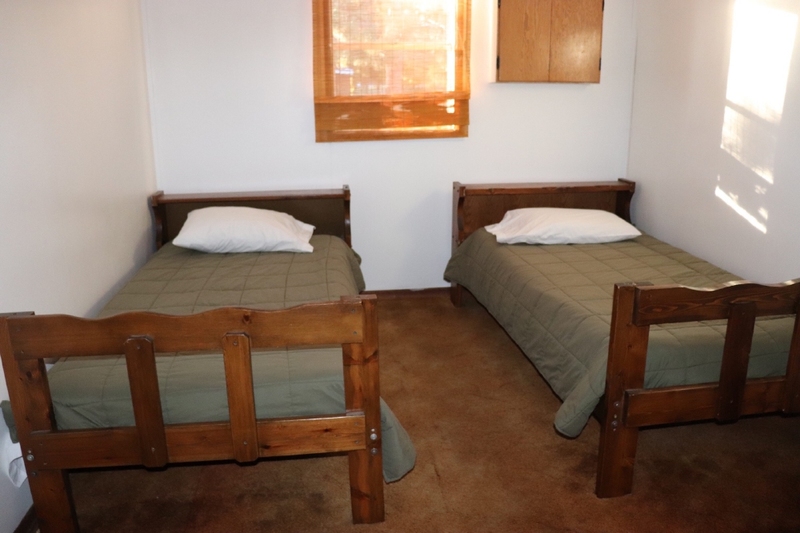 There is no bathroom in the bunk house but there is a shower house with men's and women's showers and toilets approximately forty feet from bunk house. 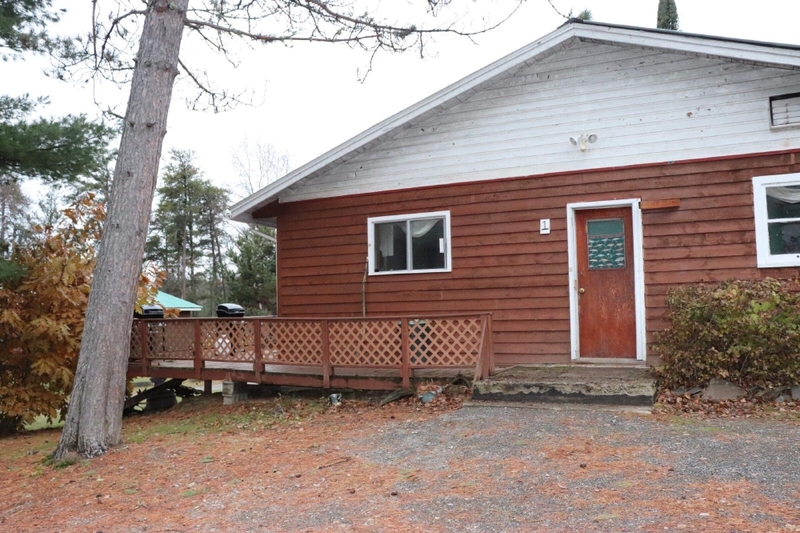 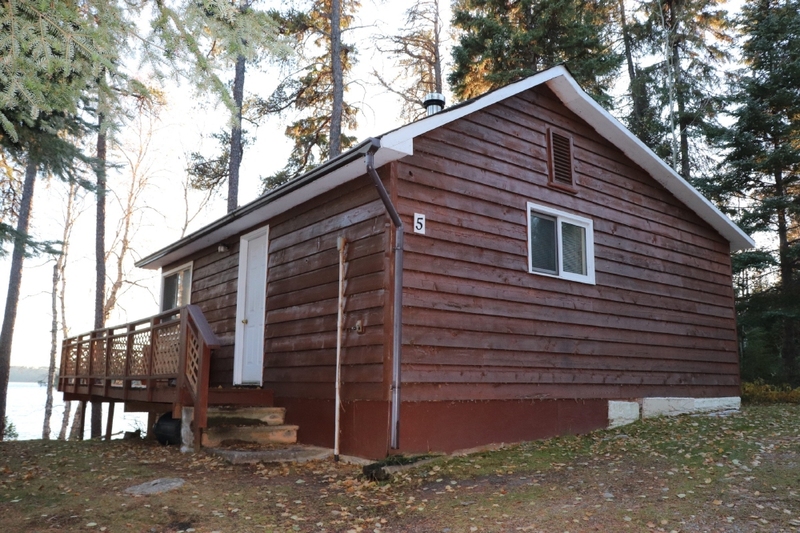 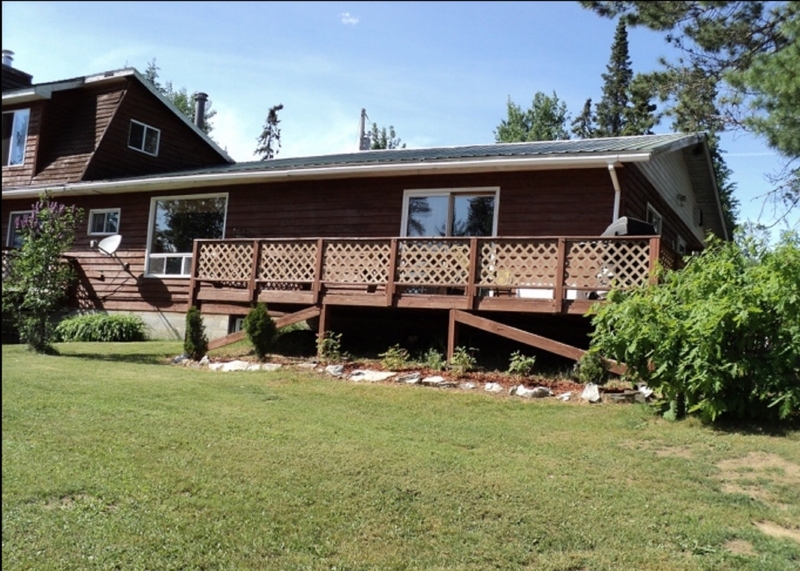 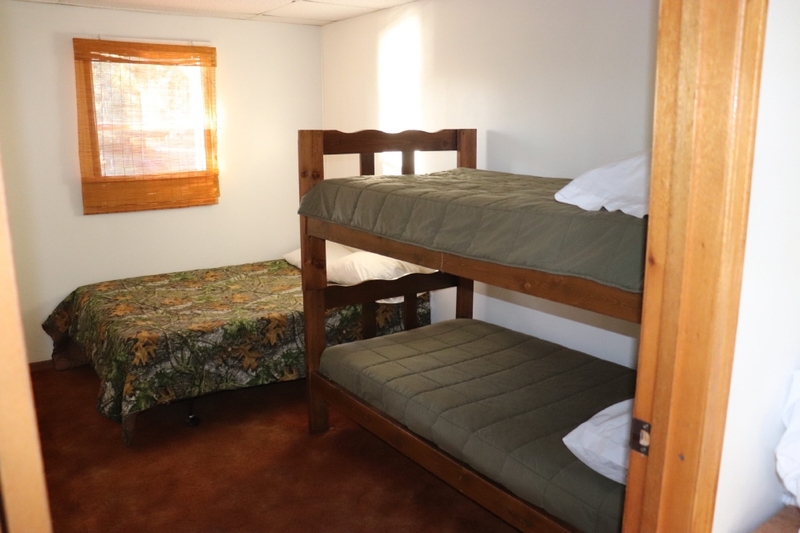 Cabin #1 is a two-bedroom cottage with each room having one single bed and a bunk with double bottom and single top. 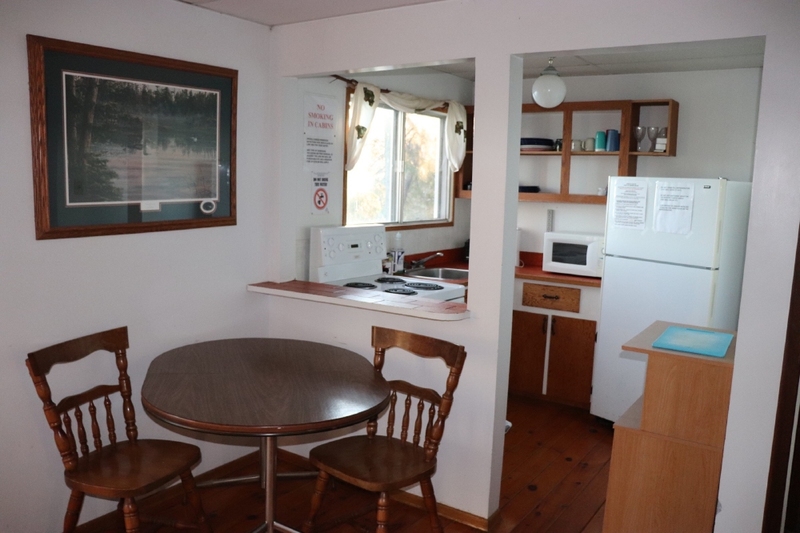 The cabin is fully equipped for housekeeping, which includes coffee pot, toaster, microwave, dishes, utensils, refrigerator, stove with oven. 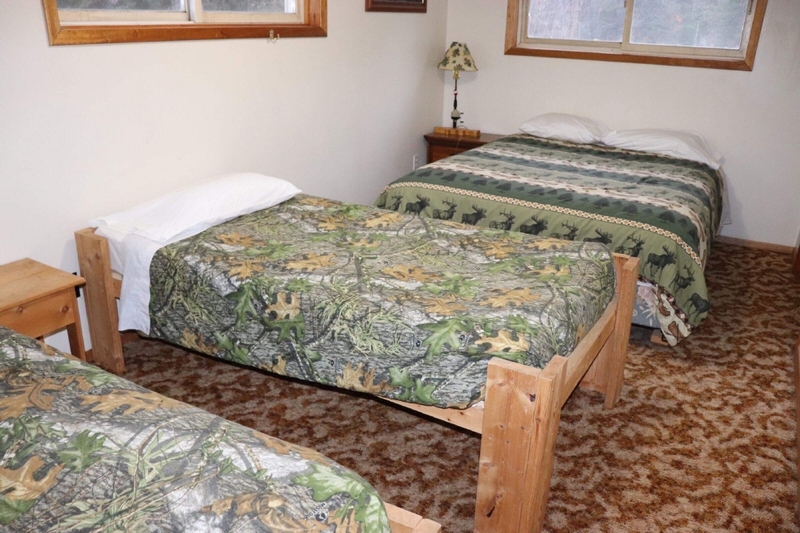 Bedding provided but you can bring your own special pillow and sleeping bag if you wish. 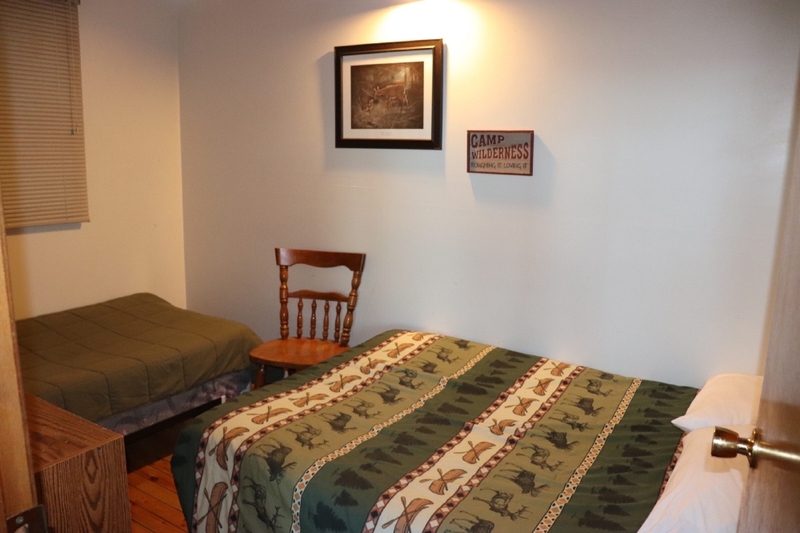 You will need to bring personal bath towels. 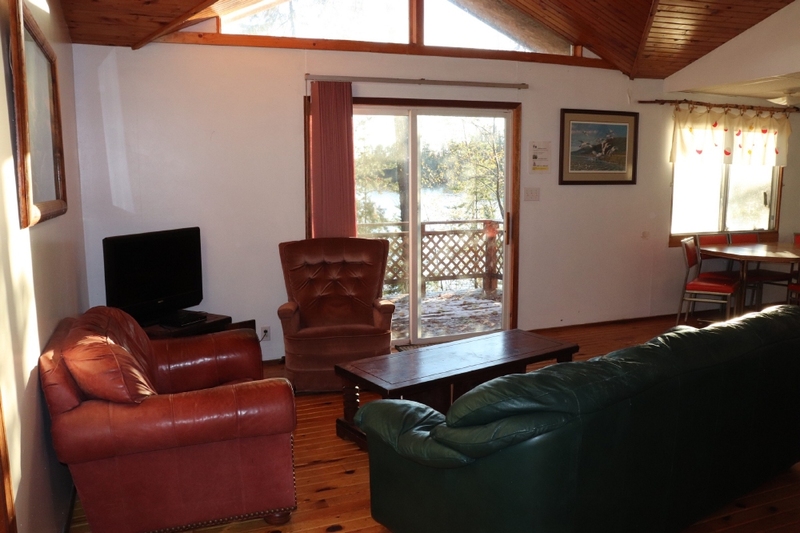 Minimum four people to reserve in advance or four person rate applies. 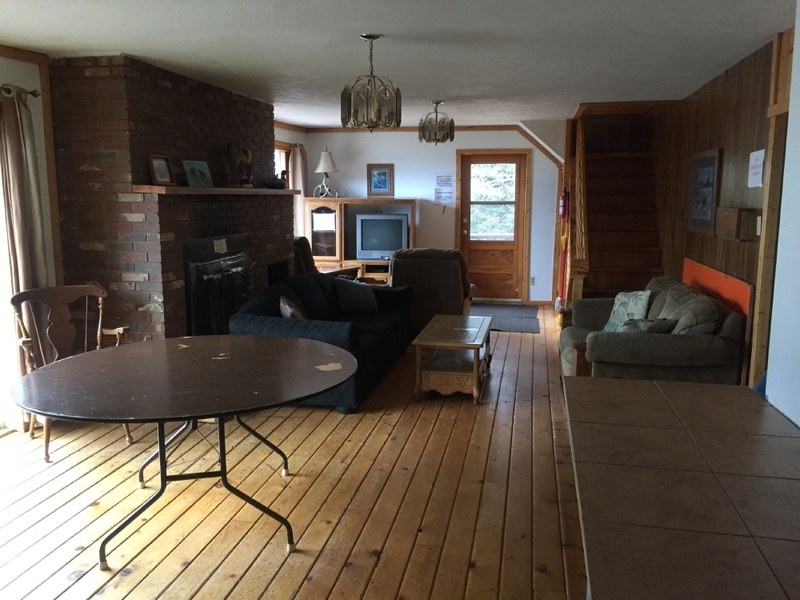 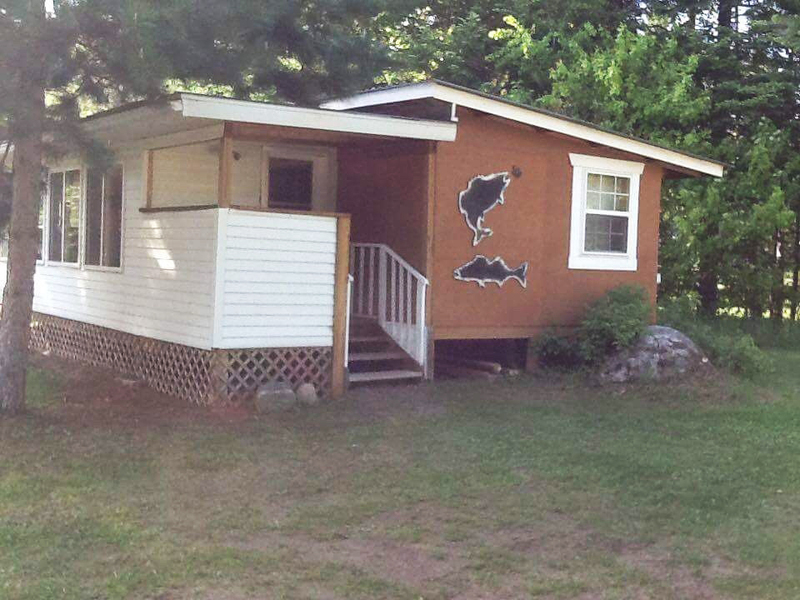 There are two bedrooms on the main floor. 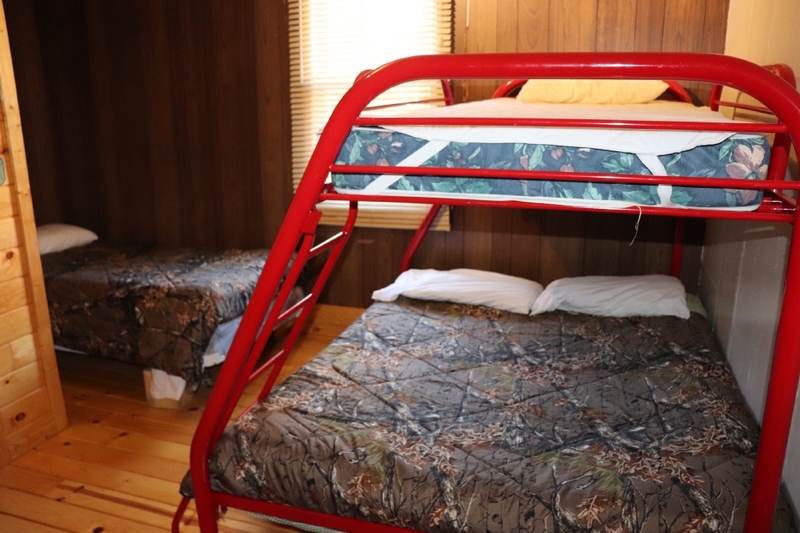 One room has one queen-size bed and two single beds. 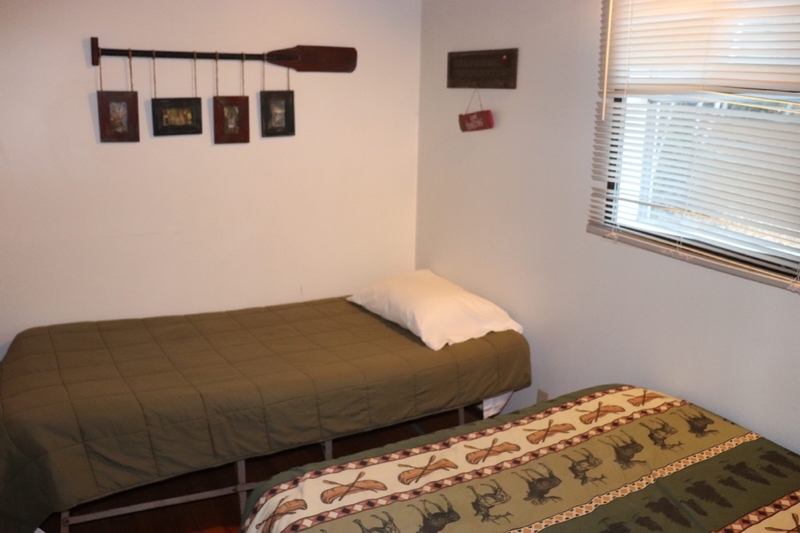 The other room has two single beds. 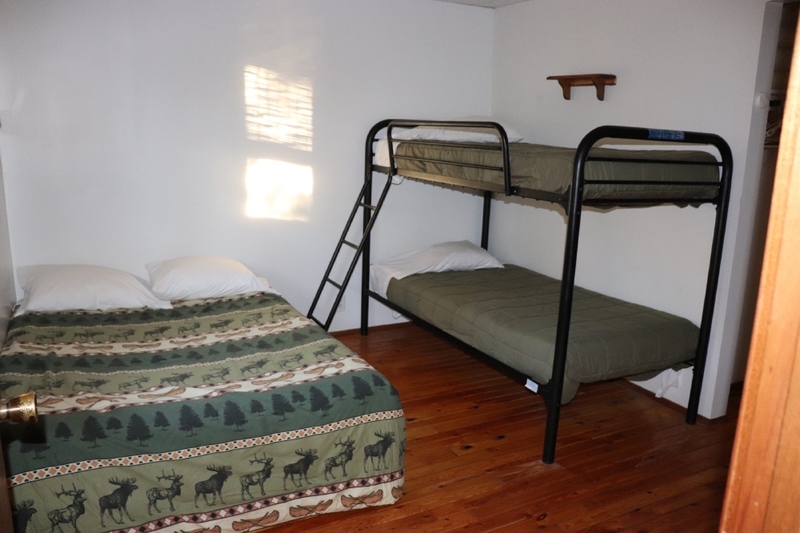 The up stairs is an open loft with one queen-size bed and four single beds. 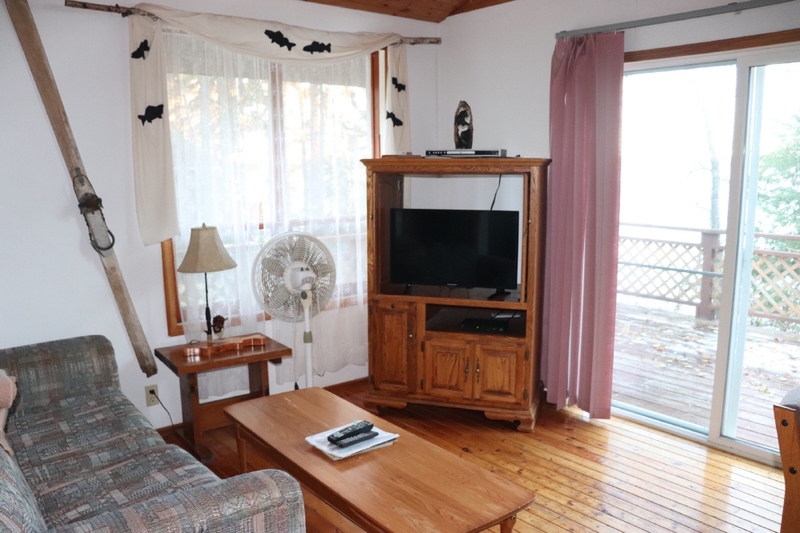 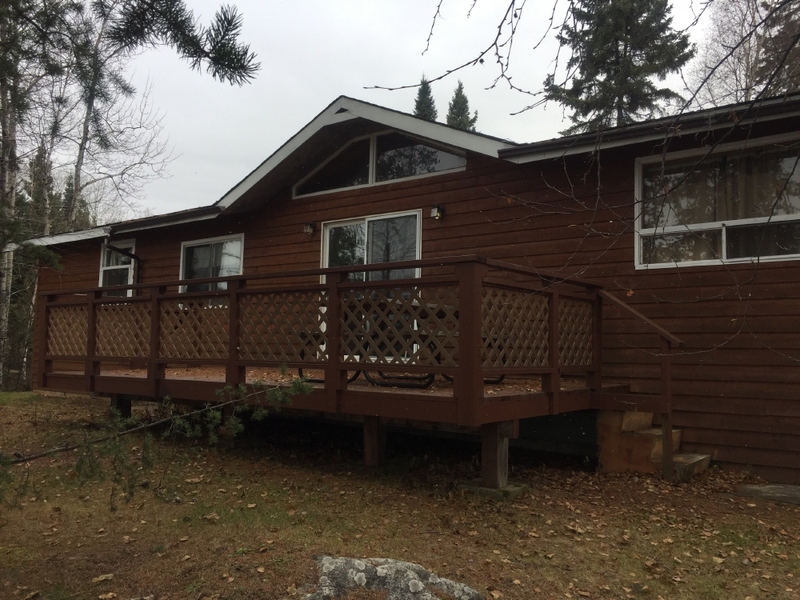 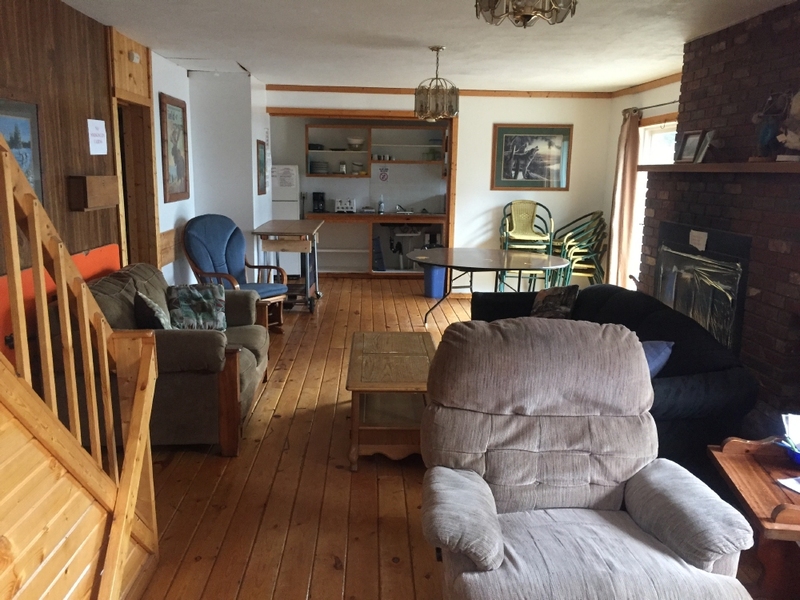 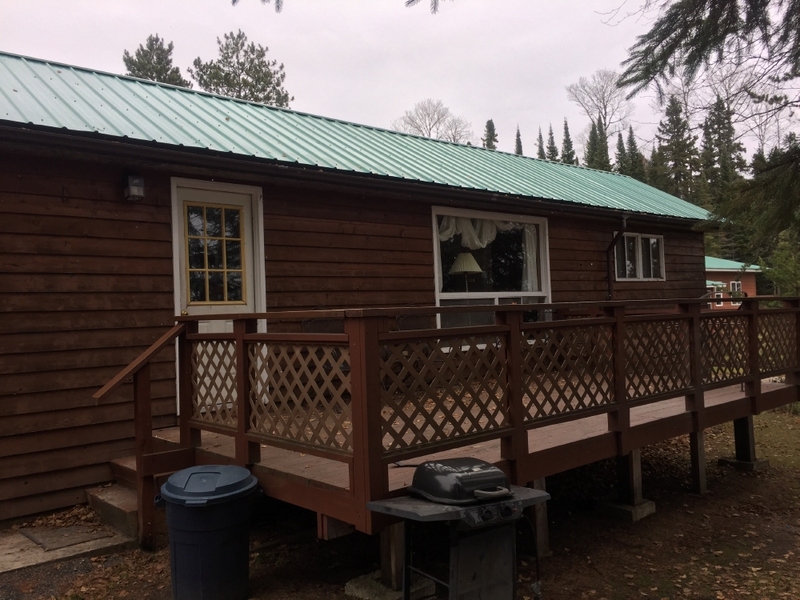 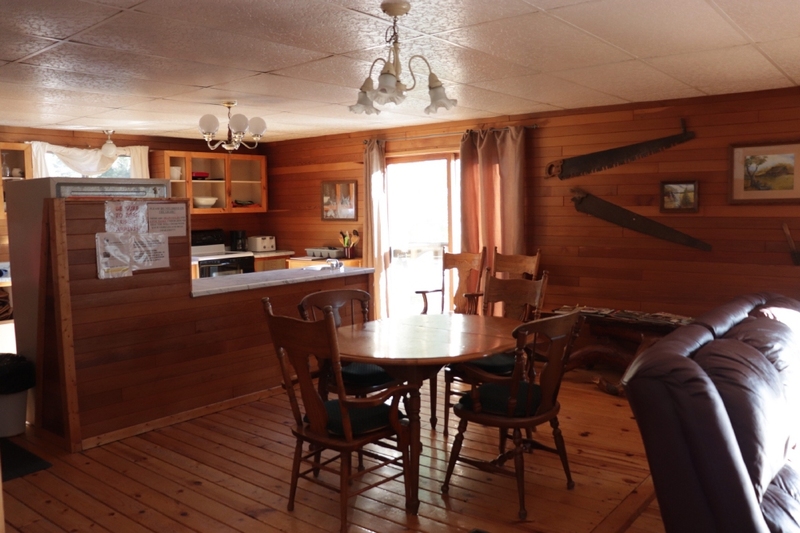 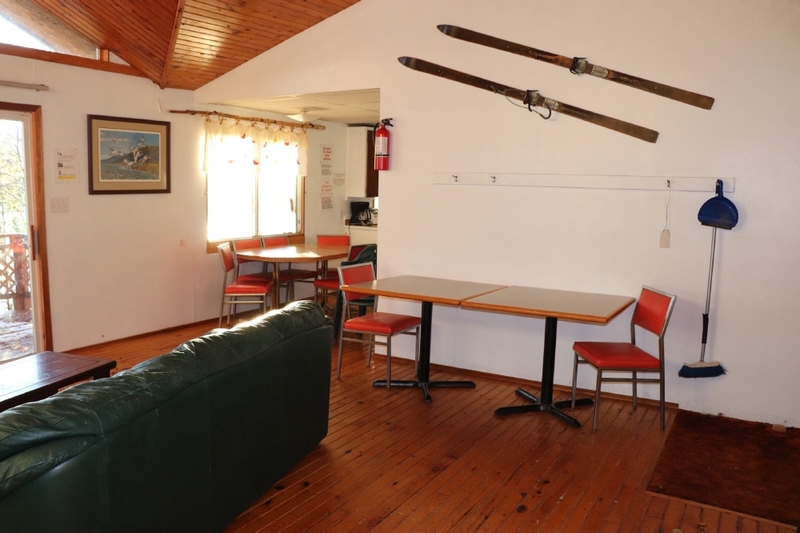 The cabin is fully equipped for housekeeping with coffee pot, toaster, microwave, dishes, utensils, refrigerator and stove/oven. 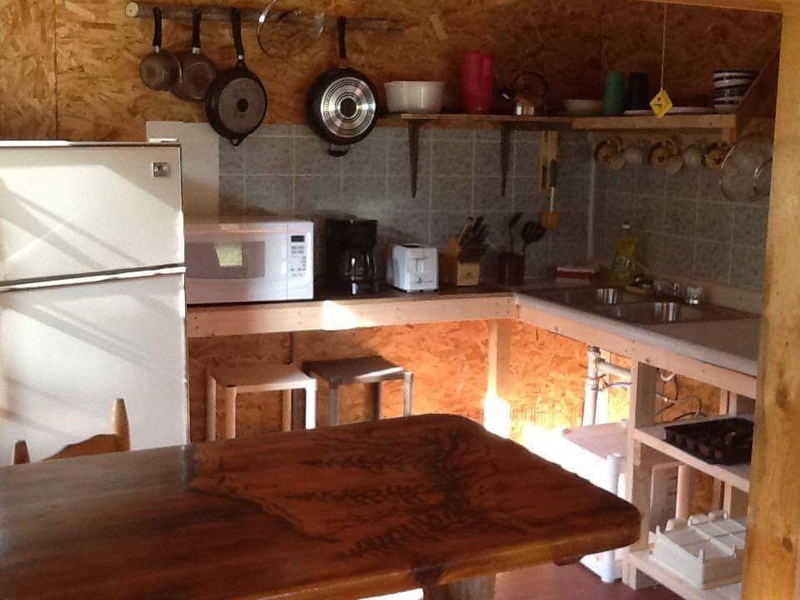 Minimum 4 people to reserve in advance or 4 person rate applies. 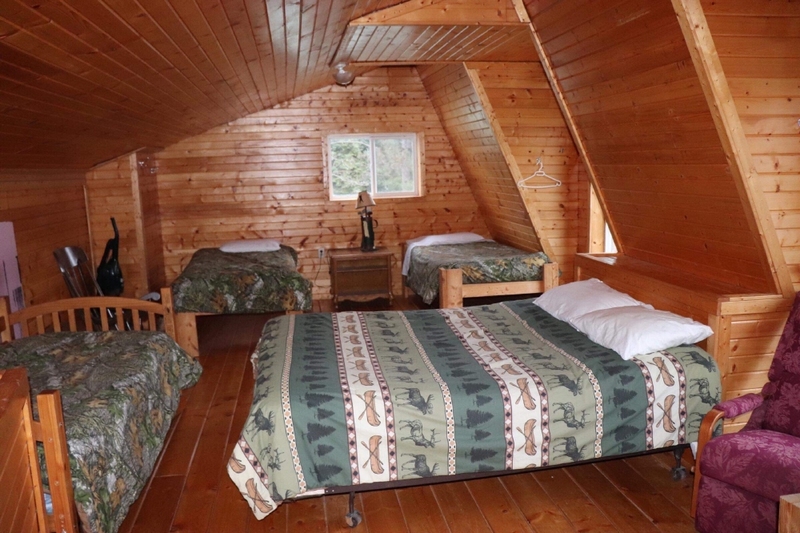 This cabin has three bedrooms. 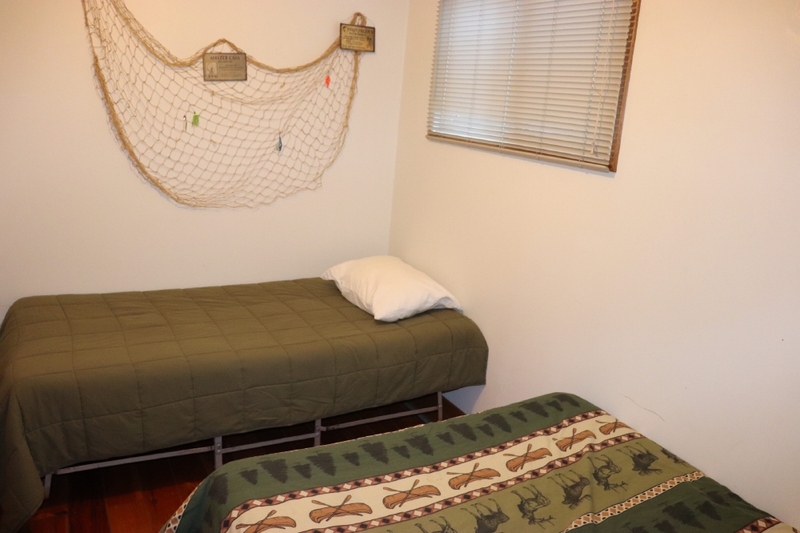 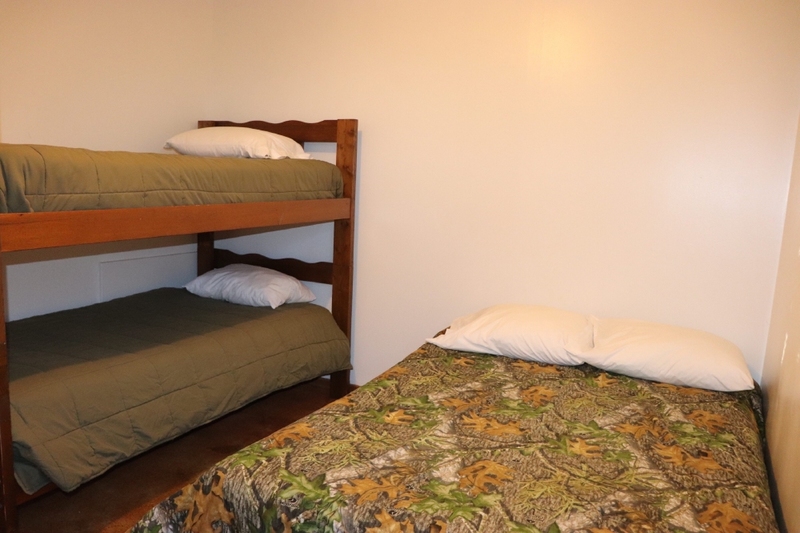 Two of the rooms have a double bed and bunk bed with single mattresses. 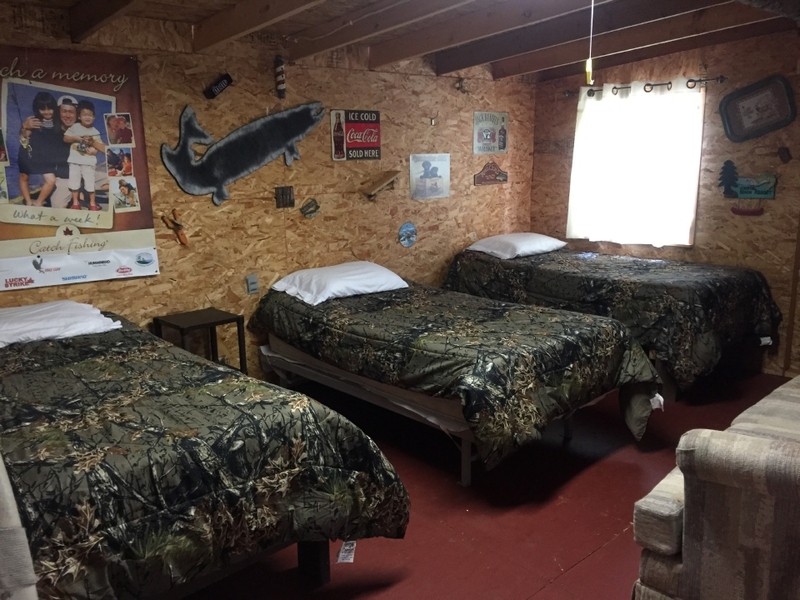 The other room has two single beds. 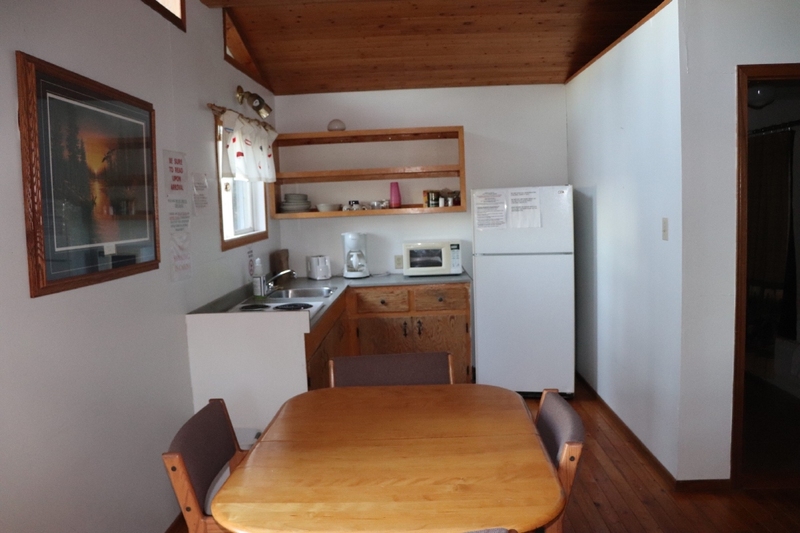 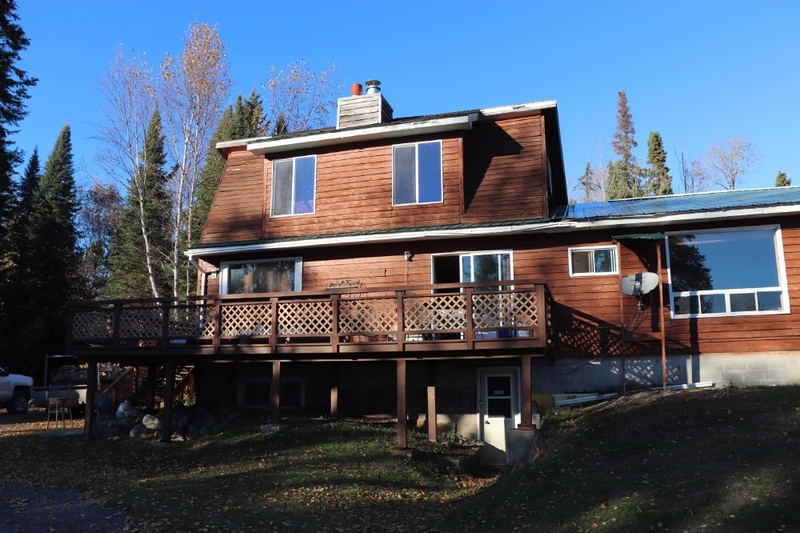 The cabin is equipped for housekeeping with coffee pot, toaster, microwave, dishes, utensils, refrigerator and stove/oven. 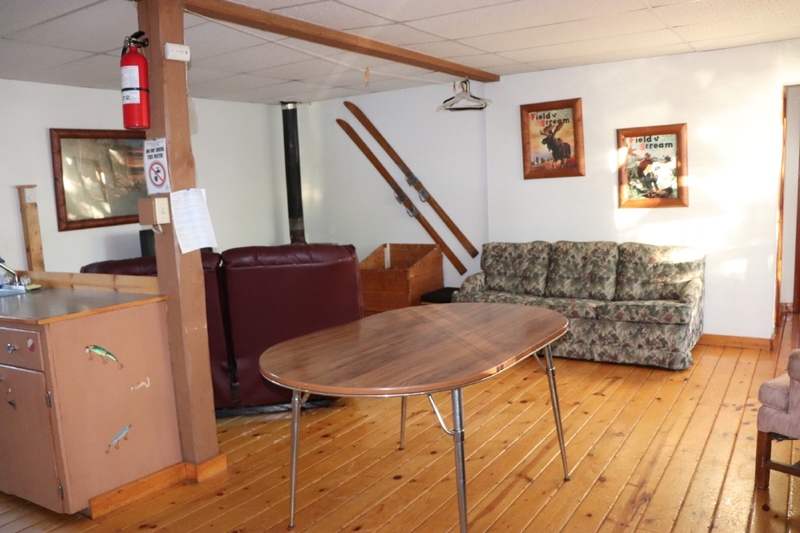 4 person minimum if reserved in advance or 4 person rate applies. 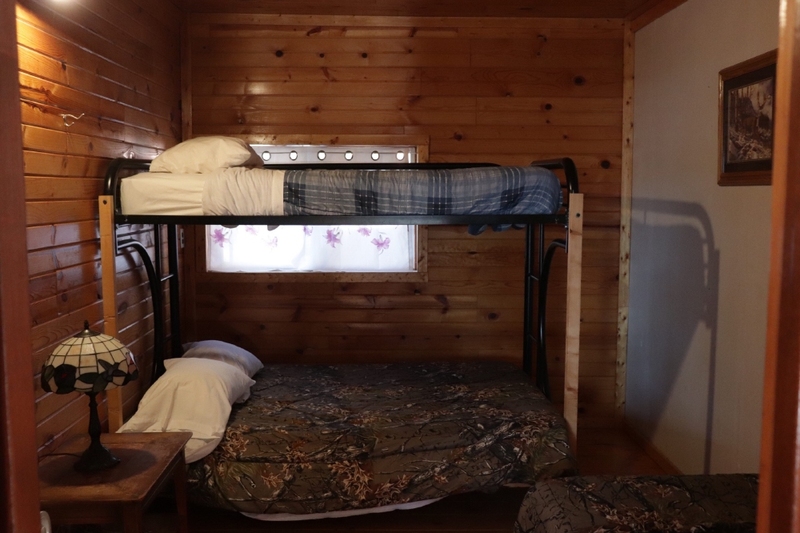 This is a three-bedroom cabin and each room is set up the same with one double bed and one bunk bed with single bed top and bottom. 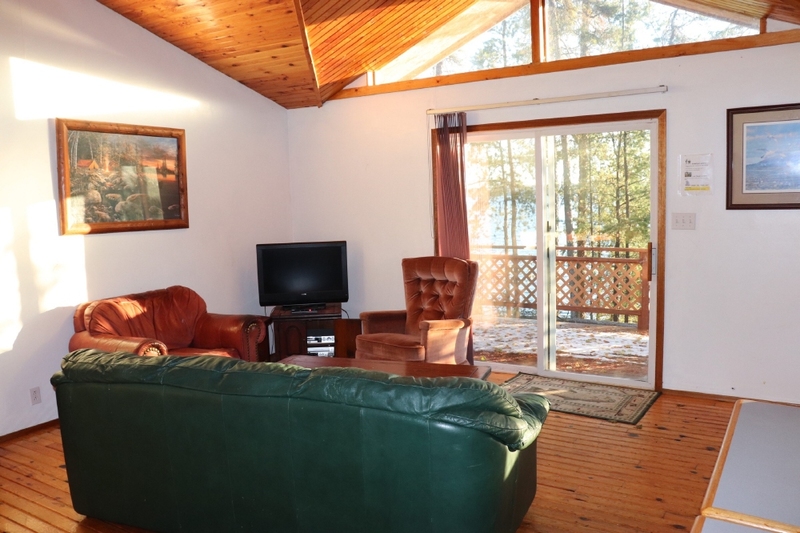 This is a cozy two-bed room lakefront cabin. 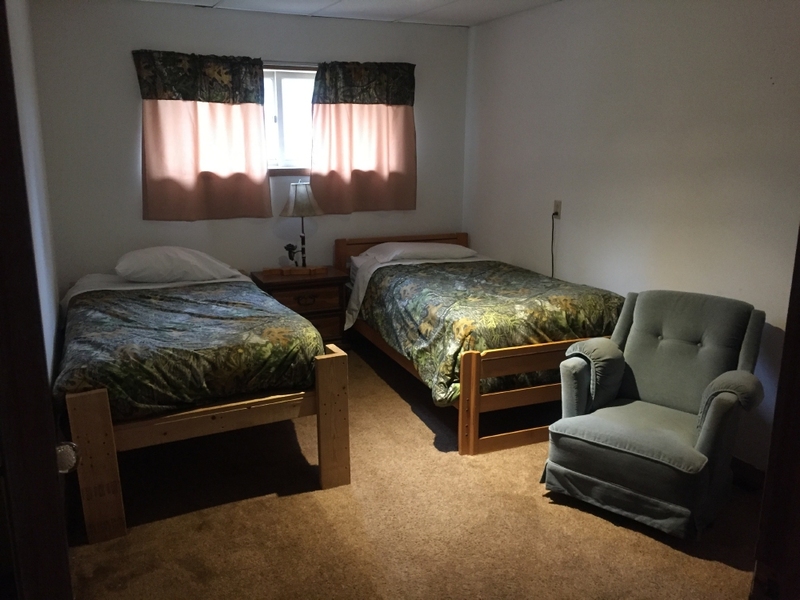 Both rooms have one double bed and one single bed. 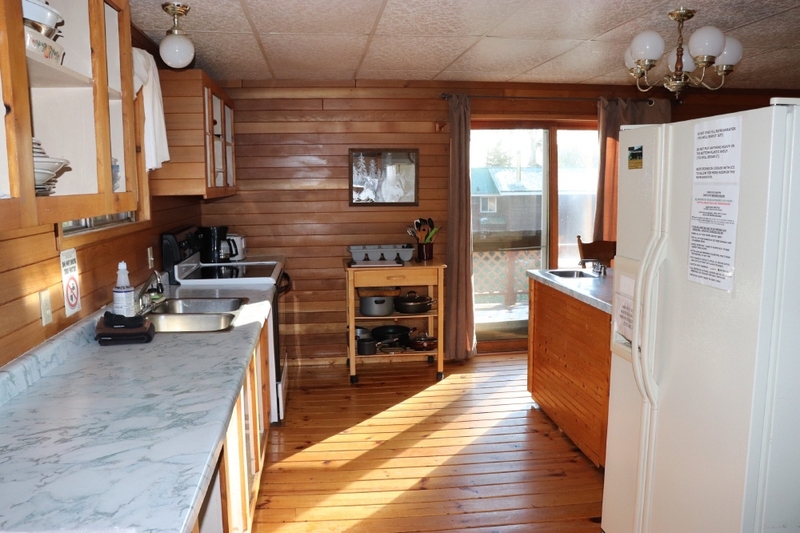 This is a cozy two-bed room cabin with an European feel to the interior. 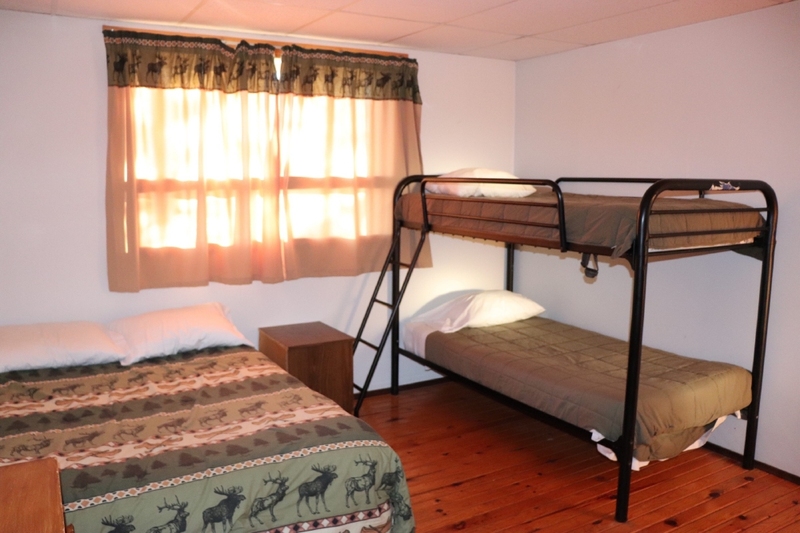 Both rooms have one double bed and one single bed.